This fourth edition of 25 Bicycle Tours in Vermont is packed with new tours and major revisions to old favorites. 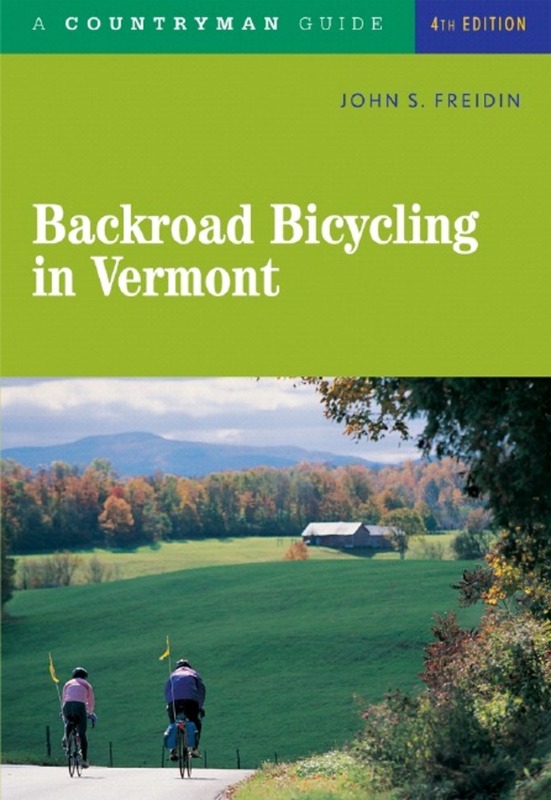 Bicycle touring pioneer John Freidin once again shares his favorite rides through historic villages, along sparkling lakes, and through lush countryside in his delightfully readable new guide to bicycling in the Green Mountain State. Following the quietest, least-traveled back roads, these tours range from easy rides for beginners and families, to challenging routes for the most hardy cyclist. Every tour includes stunning views, charming villages, and special places to swim, eat, and visit. Whatever part of Vermont you choose, you will have clear, accurate directions, ensuring your finding your way with confidence on nearly traffic-free back roads. Based on his 33 years bicycling in Vermont and his deep knowledge of its history and topography, Freidin's graceful writing takes even seasoned Vermonters to new places in a cycling paradise. In 1972 John S. Freidin founded Vermont Bicycle Touring, America's first bicycle touring company. He has led thousands of cyclists on tours throughout Vermont, taught American history at Middlebury College, and served in the Vermont legislature. His writings and photographs have appeared in Vermont Life, Bicycling, Newsweek, and Vermont Magazine. He lives in New Haven, Vermont.